My kids send me strong signals all the time. For example, when we have broccoli or sweet potatoes, they respond with very strong signals. Unfortunately their signals are strong AND negative. One way we’ve tried limit these anti-veggie reactions is to get them involved in the meal planning. Like in meal planning, we should be looking for strong signals with prototype tests. Strong signals validate that solutions are worthy of digging into deeper. Sometimes, you will get responses of “I don’t like this” or “I’m not sure this will work.” These are great strong signals, just not the ones you may have been looking for. Their value though can be immense. 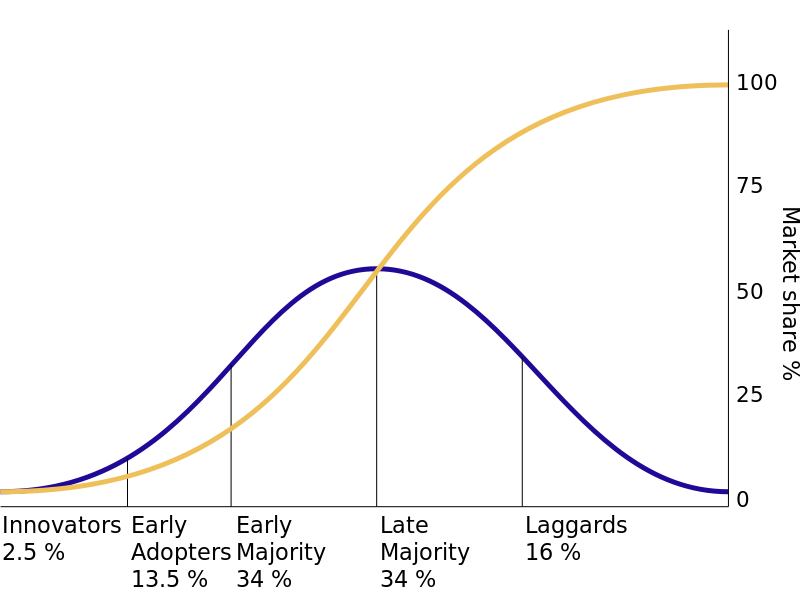 Looking at the Diffusion of Innovation, these types of strong signals would be achieved from folks in the “Late majority” category. That accounts for 34% of the market, and yet we design by relying on “Early Adopters” or the “Early Majority”. How can we move their timeline of adoption up? How can we use their strong signals, and their personas, to help make our prototype better? We can design with them! Wrangle up some of those “This will never work” naysayers and get them in an ideation session. You can often get them to agree by just being honest. No need for trickery or bribes. Just tell them that you’re sorry your one idea didn’t fit for them but you’d like to understand their view better. It is simple, just understand these three guidelines. 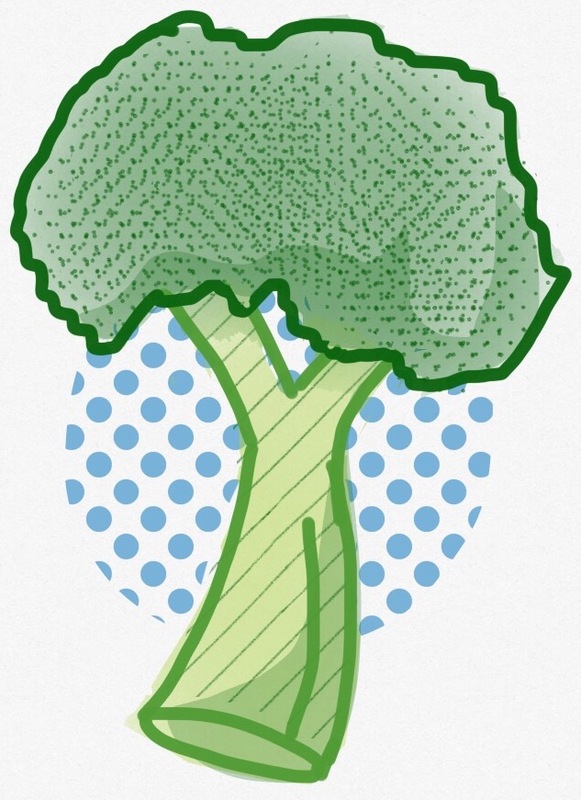 Strong signals, like kids rebelling over the inclusion of broccoli, can indicate the presence of the “Late Majority”. Instead of taking a hit to your momentum, use their energy to design a new, better solution! You must aim for a 80-20 ratio of listening to talking. Listen to understand, not to react. Reiterate what they say if you are unclear. You may need to set up the ideation session with some easy wins up front to grease the gears of innovation. Too many options and they will freeze up. It’s a cousin of the “blank page” syndrome. Constraints can also help people be creative. It’s like squeezing a tube of toothpaste. Applying pressure, with the constraints of the rest of the tube, pushes the paste onto the brush. An “ugly” prototype or a napkin sketch keeps the customer from thinking the idea is set in stone. Thinking everything is “up for change” frees them up to make more suggestions. Encourage them to take a crack at some wireframes. You will hear “I’m not good at drawing” but we’re not looking for art here, just ideas. You can offer to draw for them if this is a sticking point. I’m not saying you’ll end this process with a market-capturing design. But you will have a better understanding of the needs, the pain points, and the potential gains for your innovation with the Late Majority. Imagine if you can inspire the Late Majority to adopt sooner! Previous postVanity Metrics & Bathrooms: It’s not the size of your mirror.